We won’t lie, vegetables tend to make rather awkward companions for wine, especially when served on their own without a meat or fish accompaniment. Although this makes pairings difficult, it’s certainly not impossible. Here’s a quick guide for vegetarians… and for anyone who likes vegetables. As with any other product (meat, fish, etc. ), there are no absolute general rules to tell you which wine to serve with a vegetable dish. Just as one wine goes well with a sole in cream but not so well with grilled bream, and another wine is perfect with duck breast but far from ideal with roast chicken, it stands to reason that any advice for a successful pairing between wine and vegetables needs to consider both the type of vegetable and the way it is prepared. As we attempt to classify vegetables into their main categories, here are a few pieces of advice for pairings. Here, the key is to make an accompanying sauce with an extremely low vinegar content – vinegar and wine, as you may have guessed, being very poor bedfellows. The crunch of a carrot or grated celery, the gentle acidity of tomatoes and the slight wateriness of a cucumber (to give but a few examples) complement the crispness of a fresh, delicately fruity white wine with a pleasant acidity. Suitable choices would be generic Muscadet, Chablis, Menetou-Salon, Reuilly, Sylvaner or Jacquère Savoy wines (Apremont, Chignin, etc.). In the heat of midsummer, it’s also permissible to opt for a Provençal rosé without too much vinosity; possibly the same wine you’ve earmarked for the apéritif. This is the largest category, and consequently offers a certain variety of textures and flavours which require subtle nuances when paired with a wine. Looking at the classic staples such as green beans, broccoli, chard, cabbage, spinach, cauliflower and Brussels sprouts, pairing will always be easier with a very dry white wine than with a red, even one with low tannins. So you’d tend to choose more or less the same wines you’d pair with raw vegetables, although the choice could be expanded to include slightly more distinctive whites such as white Provence wines (Cassis, Bellet, Côtes-de-Provence) where the Rolle (or Vermentino) grape, with its very dry, slightly floral character, will cope unflinchingly with the vegetal nuances of these vegetables. There are a couple of special cases in this family of vegetables: asparagus and artichoke. The powerful bitterness of asparagus makes it a rather difficult partner for a wine. 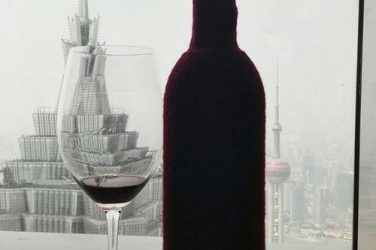 To be able to take on this challenge, the wine will need acidity and plenty of fruit, and very few are up to the task. For white asparagus, a good choice would be a very dry Riesling or a Vouvray (or Montlouis) without residual sugar. The more aromatic green asparagus, however, would do better when paired with a dry Alsace Muscat or a Condrieu. Artichoke presents an even greater pairing challenge. Only a very dry, mineral white wine can cope with the impact of the vegetal bitterness of this particular vegetable. A Muscadet or an Alsace Sylvaner may do an acceptable job, but don’t expect miracles! This very common vegetable is often eaten on its own, such as in one of the various ways of preparing sautéed potatoes, but also baked or mashed with a generous helping of butter (or olive oil). Most such dishes can easily be served with a dry white wine of a similar style to those listed in the above families (generic Chablis, Chignin or Sylvaner, to name but three). However, unlike green vegetables, potatoes are not averse to being paired with a light, not overly tannic red wine such as a simple Beaujolais or a light Loire wine (Saint-Nicolas de Bourgueil, Saumur-Champigny). Some ways of preparing potatoes, such as gratins (e.g. gratin dauphinois) or Bourbonnais (or Morvandelle)-style mashed potato dishes, have a high cream content which affects pairings. In these cases, the obvious course of action is to pick a creamier, more aromatic white wine such as a Chardonnay from Mâcon or Jura or a well-rounded, Altesse-based Savoie white, or a white from the Chignin-Bergeron appellation. 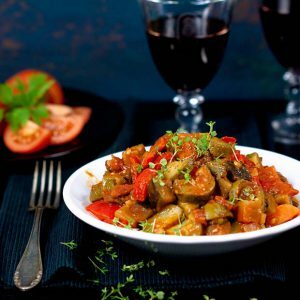 This is a Mediterranean speciality found in dishes such as Provençal ratatouille, Sicilian caponata and Italian aubergines alla parmigiana, but also found in the piperade of the Basque region. In this case, red wine provides the perfect complement to their stewed, cooked character which offers more complexity than the average green vegetable; and sometimes, with the addition of cheese (yes, we know that’s cheating! ), it’s possible to consider fairly powerful wines with low acidity (the tomatoes providing plenty of overall acidity) and a slightly stewed aroma which complements the essential character of the dish itself. Here, the wines of the southern Rhône region are in their element, especially those with a predominance of Grenache. There’s probably no need to break out a Châteauneuf-du-Pape or even a Gigondas, but a good Côtes-du-Rhône-Villages should do the job very well. 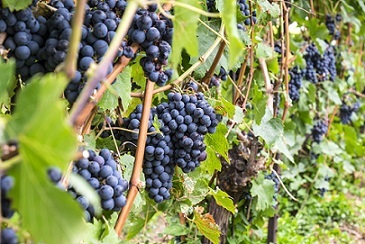 Other options are some Provençal reds (provided they don’t overdo the Cabernet Sauvignon or Mourvèdre), or certain Languedoc wines, subject to the same proviso. In summer, one might tend to favour a rosé wine, but in such cases it is essential to serve a very vinous rosé such as a Tavel or a Roussillon rosé. 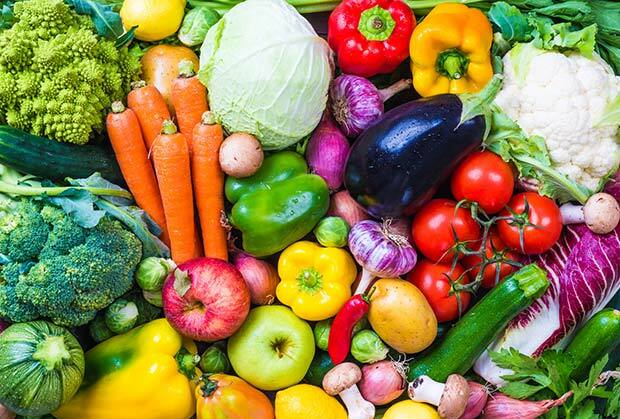 A number of common vegetables don’t fit into any of the above categories, but that doesn’t mean they can’t be enjoyed with a nice glass of wine. The first case in point is the carrot. Its slightly sugary creaminess suggests well-rounded, fruity wines with a subtle acidity: Beaujolais reds or generic Burgundy wines (without woodiness), but also Loire wines made from Gamay or Pinot Noir grapes. The other special type of vegetable (which isn’t really a vegetable at all) is the mushroom. The aromas of most mushrooms often resemble those of slightly more mature red wines, making pairings with mature red Bordeaux wines a fairly obvious choice (perhaps even from the Right Bank, such as Pomerol or Saint-Emilion). This is particularly true of cep mushrooms. For chanterelles, a slightly unctuous Burgundy white (for example, a nice Côte de Beaune) would be more appropriate. And an oxidised Jura wine would be an almost perfect partner for morels.